One of the most challenging genres is sports photography. To capture some colorful and brilliant imagery, you need to be on top of your game. Usually, in the blink of an eye the action is often over! Now that you’re prepared to capture stunning sports photos, look for a good position that gives you a view free from distracting backgrounds and apply these surefire tips for shooting high-speed sports action. Note that high-speed cameras have very high frame rates. They are able to capture 250 frames per second. With that, you can’t miss your fast-moving player. Besides, with a high-speed camera you’re capable of making very smooth slow motion videos due to their high frame rate. Typically manual ISO setting may make sense; however, auto ISO is handy in high-speed sports action. Due to the subject’s motion, there might be minimal changes in lighting. And to maintain the same shutter speed, auto ISO detects such changes and automatically adjusts the sensitivity accordingly. Most photographers recommend using the AF-On button (continuous AF mode) to acquire the right focus instead of half-pressing the shutter button. Wondering why this setup is vital? It keeps the camera’s focus locked on the moving subject. In addition to that, it allows your camera to adjust focus as it follows your subject. One great way to shoot high-speed action is freezing the action; however, panning is the pretty way to introduce a sense of movement to your shots. To pan, move your camera at the same rate as the moving subject. However, be smooth with your movement. An increase or decrease in shutter speed may be an ingredient to finding the perfect pace for the subject. It may take a little practice though it is a sure way to striking results. Look: The moment you take your eyes off the action to check every photo on the LCD, you may easily miss a good shot. For example, if you chimp when shooting football, you can be run over on the sideline. The right advice here is to stay focused and keep shooting. Hopefully, you found these tips worth exploring. If you passionately incorporate them in your art, anytime soon you’ll be on top of your game. However, like any other art or life endeavor out there, you can only be better if you put in a lot of effort. Accordingly, you may have to keep practicing for a better experience in shooting high-speed sports action. Video production refers to the entire of producing video content. It is quite similar to film-making in that it involves planning, shooting as well as editing. 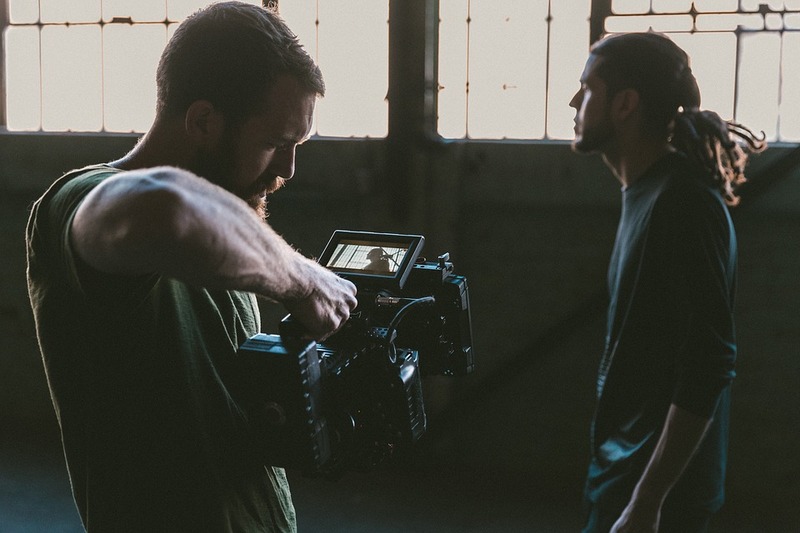 Nowadays, video production companies provide a broad range of services such as creating music videos, television commercials, marketing videos, short films, full-length documentaries and many more. Here’s all you need to know about video production agencies. What is the role of a video producer? Video producers will essentially oversee all filming projects from start to finish including marketing and their distribution. They work closely with directors, scriptwriters, editors and a host of other production staff. The role of a video producing company may include; budget preparation and resource allocation, securing the rights to screenplays or novels, organizing shooting schedules, hiring production staff, procuring computer software involved in screenwriting, ensuring compliance with regulations and codes of practice, troubleshooting problems and finally holding meetings with clients and directors to discuss the projects at hand. The video production process can be classified into three main categories; pre-production, production and post-production. Before starting on any video documentary, you will first need a script to create a coherent story. Pre-production and script writing often involves asking and answering a lot of questions such as who to interview, who to cast, where to shoot your films and what your viewers will gain from the documentary. The location for each of the scheduled scenes should be carefully selected. Scripts should be revised and edited before the actual production process begins. Once the video production company completes the casting and the script is approved, the actual filming is set in motion. The cast and crew then go out to the field to shoot the scenes needed for the documentary. Consistency is critical when shooting; producers usually stick with one style of shooting from start to finish. Once shooting is complete, it’s time to move on to post-production. Once footage has been gathered and pieced together, it’s time to embark on post-production. This stage entails merging scenes and synching audio as well as adding special effects to the footage. Today, many firms offer professional services in the video production industry. Today, more firms are embracing the use of software such as Logic Pro and Cinema 4D to serve clients better. However, choosing a professional film production company can be a daunting task. Choose a firm that understands the industry well and has a wealth of experience in video making and editing. Finally, choose a firm that understands your business or marketing needs.